The red-capped manakin (Ceratopipra mentalis). The sexual dimorphism is very conspicuous as the male is red headed and the female is olive green. 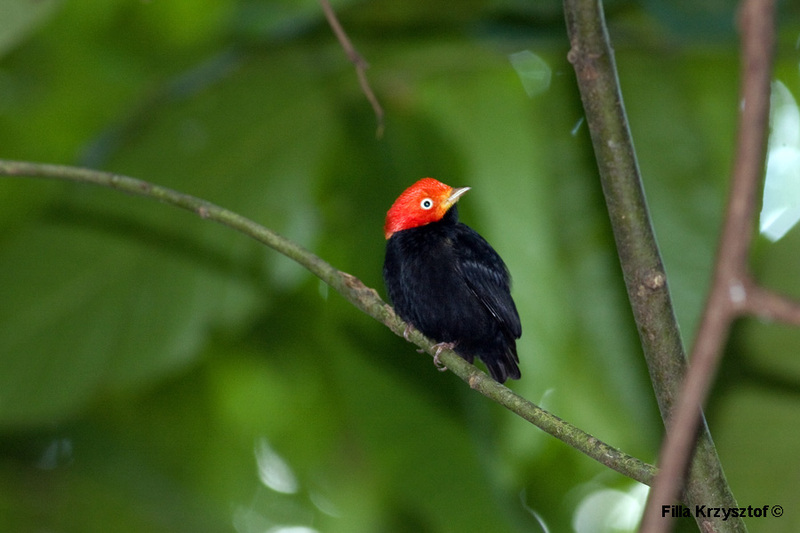 The manakin likes the humid rainforest at elevation between 400 and 600 m above sea level. It is said that Michael Jackson mimicked this bird's famous moon walk.